A hauntingly beautiful story of rescue and rehabilitation. 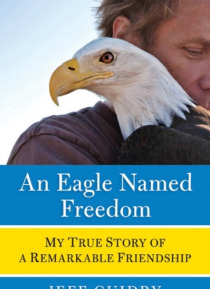 [A] gorgeous tale of redemption.Susan Richards, New York Times bestselling author of Chosen by a HorseI could not put this book down.Stacey O'Brien, New York Times bestselling author of Wesley the OwlIn the tradition of A Lion Called Christian and Alex and Me comes An Eagle Named Freedom, Jeff Guidrys remarkable story of how he rehabilitate… d a severely damaged bald eagle back to healthand how the majestic bird later inspired the author to triumph over cancer. Animal lovers and readers fascinated by the spiritual ties between animals and humans will not soon forget this beautiful, inspiring true tale of an extraordinary friendship.